When Big Boy and I had a treat last week, we decided to have Sticky Popcorn. Okay, so I decided to have Sticky Popcorn and Big Boy decided that I had picked a winning treat! 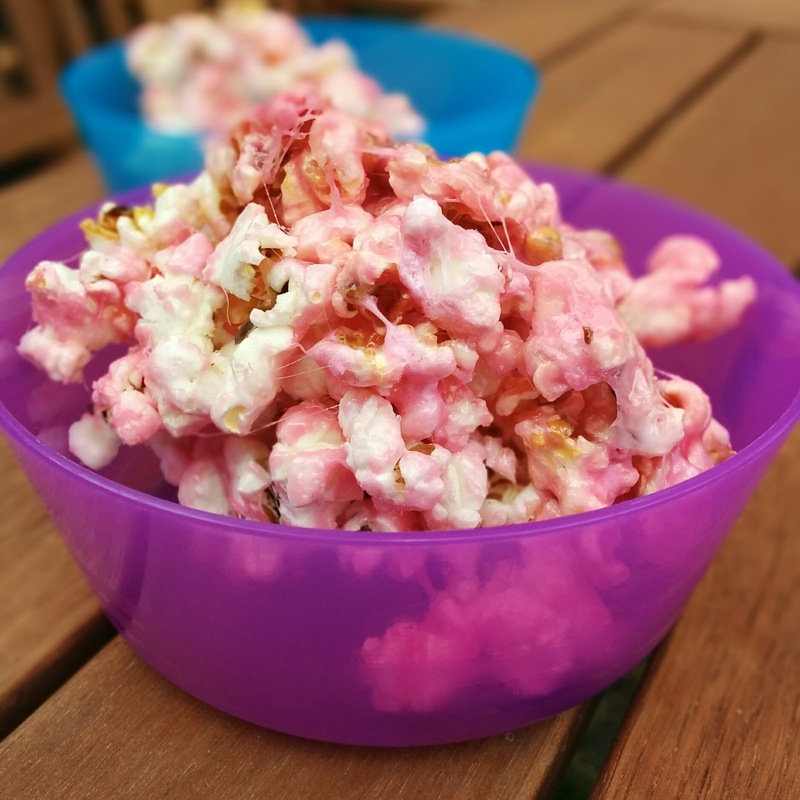 To make this popcorn, all I did was pop some corn and then whilst the pan was warm, I threw in some Marshmallows (I added more than a handful but less than two) and gently heated the two ingredients, gently stirring them together until they combined. What's your favourite way to top Popcorn?